The UK Prime Minister is facing a difficult time as her Foreign Secretary and Brexit Secretary turn their backs on her. UK Politics: Is there a battle on for No.10? "Brexit should be about opportunity and hope. It should be a chance to do things differently, to be more nimble and dynamic, and to maximise the particular advantages of the UK as an open, outward-looking global economy." - Boris Johnson, former Foreign Secretary. It's not often that eyes are directed away from the antics going on in Washington, but this week the focus has been firmly on Downing Street. The British Prime Minister is about to meet with President Donald Trump in London but this visit couldn't come at a worse time for Theresa May. This week she's had two high-profile departures from her Cabinet but it's more than just missing Boris Johnson and David Davis that she needs to be worried about. The swift exit of her Foreign Secretary and Brexit Secretary has left her plan for the UK's withdrawal from the European Union in tatters. Johnson and Davis are hardline Brexiteers and blamed May's plan, which was agreed at Chequer's last week, for their retreat. This is not only an embarrassment for the Prime Minister, as she looks to negotiate post-EU trade deals with President Trump, but many think the two departed MPs are plotting a revolt. On Friday, Johnson was praising May for being able to reach a decision on Brexit but just two days later he submitted his resignation. The former Foreign Secretary accused the Prime Minister of "suffocating" the Brexit "dream". In his resignation letter, he said: "Brexit should be about opportunity and hope. It should be a chance to do things differently, to be more nimble and dynamic, and to maximise the particular advantages of the UK as an open, outward-looking global economy. That dream is dying, suffocated by needless self-doubt." With the Brexit Secretary resigning just hours earlier, May's Cabinet was suddenly severely lacking, just days after being seemingly united under a Brexit strategy for the first time since the referendum. The Prime Minister has now since filled the vacant positions but the impact of the swift departures may have more lasting consequences on her place in Downing Street. Many believe Johnson sees himself as a more suitable Prime Minister and has been planning a way to oust May since she was given the position by default. He has almost consistently looked to undermine her in the Brexit talks, earlier this year submitting his own 'blueprint' for how the withdrawal should be carried out. And he isn't without his supporters. Conservatives who have pushed for a 'hard Brexit' want him at the helm to negotiate a more radical strategy than the one May has put forward. But people like political communications expert Kevin Craig believe his departure - and that of David Davis - could strengthen the Prime Minister's outlook. 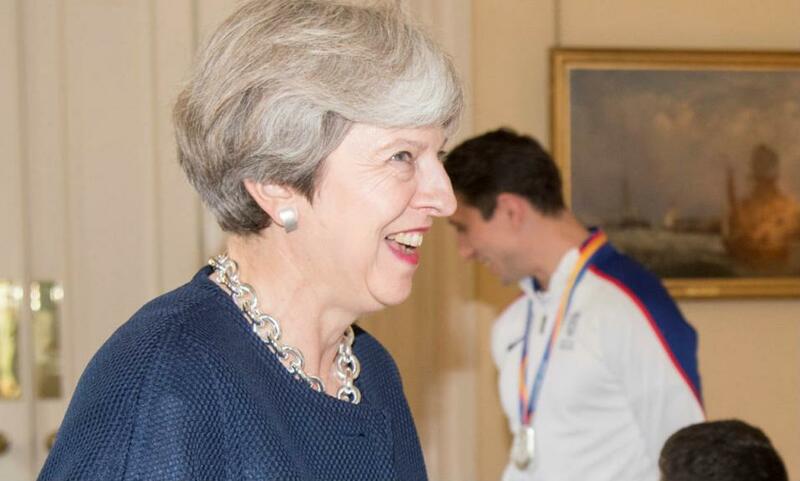 Writing for the Metro, he said: "The departure of two bombastic characters, both of whom have caused constant headaches for Number 10, has forced May into a position that many of her allies have long been urging her to take: one of defiance." With Trump on the way, the Prime Minister certainly has something to take her mind off the potential battle for Number 10. May has spoken about the great potential of a US-UK trade deal, and undoubtedly sees it as a key part of her post-Brexit plan. However, she carefully avoided any direct comments on the controversial President himself. She said: "There is no stronger alliance than that of our special relationship with the US and there will be no alliance more important in the years ahead." There's no doubt that May must be shaken by the unplanned departure of two senior ministers at a crucial time for her leadership but it may not be as disastrous as it first appears. An in for Jeremy Corbyn? Anti-Corbyn MPs are likely to be annoyed by Davis and Johnson jumping ship, with many concerned it now leaves the door wide open for the Labour leader. Indeed, YouGov polls show that Jeremy Corbyn has edged two points ahead of Theresa May for the first time since March. This means that if there was a leadership challenge or another snap election, the Conservatives could lose their hold on Downing Street. The Prime Minister has been the first to point this out to potential rebels but for some Tory backbenchers it's a better outcome than supporting a soft Brexit strategy. It's important to remember that May's premiership is held together by the thread of a minority government so even a small number of dissidents could cause her house of cards to come tumbling down. UK Politics Betting: May survives for now but can she last the year?